Now open at The Mall of Cyprus! 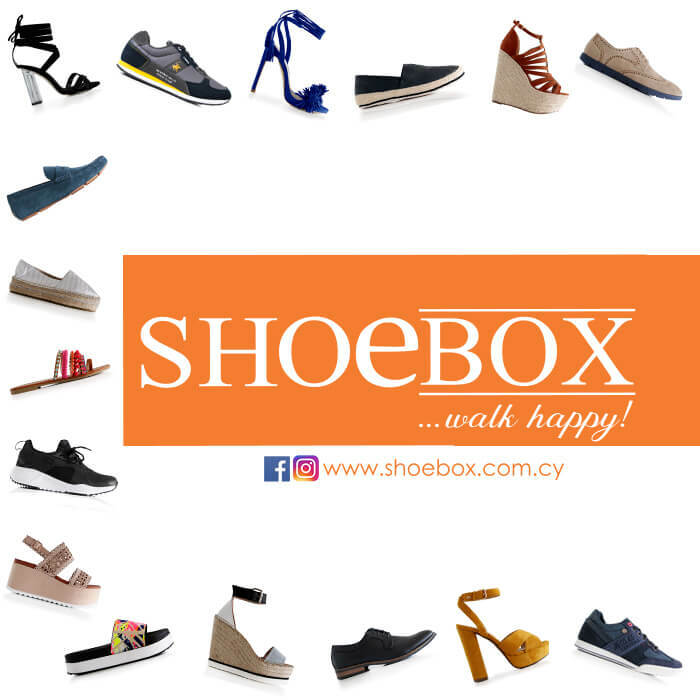 SHOEBOX, the well-known shoe chain, will open its 13th store in Cyprus at The Mall of Cyprus early in August. Brand enthusiasts will have the chance to discover the unique SS17 collection featuring impressive high quality footwear. SHOEBOX always combines modern design, comfort and excellent prices. Christou Bros Trading Limited was founded in Larnaca in 1989, where the company headquarters is situated, and in 2005 it began to expand on a national level. Today it has 13 stores in Cyprus under the name SHOEBOX, aiming to enhance it’s leading position in the shoe industry for the whole family. Rafaella Belgini, Miss Belgini, Incanto, Reverse, Southport, Kido, Coo, Boston, Foot Comfort, Coolway, Aerosoles, Piccadilly, Imac, Steve Madden, Kendall & Kylie, Lorenzo Mari, Unisa, Carrera, Gas, Sergio Tacchini, Polo Beverly Hills, Garvalin, Agatha Ruiz De La Prada, Biomecanics, Pampili, Asso, Laura Biagiotti, Lee Cooper, Disney, Nike, Adidas, Converse.